I just finished another 'new' mirror. There are a few glitches to work out but I'm very excited about this prototype. 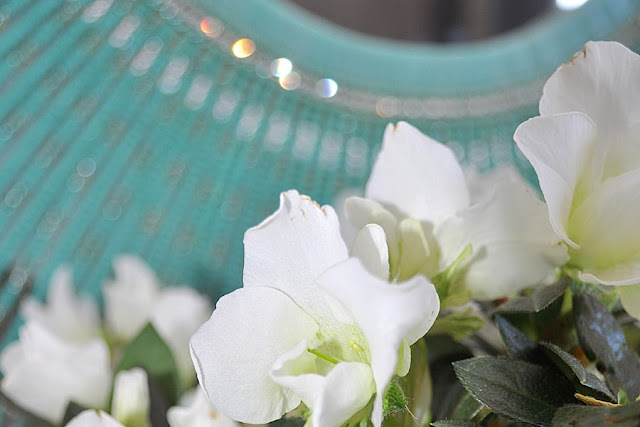 The Turquoise Seed Bead Mirror is 34" in diameter and made with vitreous glass tiles, chained rhinestone and a variety of coloured seed beads (lots of them). Seed beads come in a huge array of stunning colours opening up a whole new, crazy, exciting world of design possibilities. Maybe 'excited' is an understatement? Lovely. Your 'excitement' is contagious and suggests Spring is really coming. A gorgeous piece of art! Karen, your creativity takes my breath away! Very nice! can't wait to see what you use next to creat a mirror. Absolutely stunning! Well done, you! This is absolutely stunning!! Wow!! It's also my favorite color! Your work just amazes me :) Keep it coming! I just came over via designsponge on twitter. I must say you have a very unique approach to current trends. I am really in awe of your creations. I am your newest follower. Where did you find those amazing beads? I've been looking everywhere for turquoise beads like those! I get my 'Seed Beads' (that's what they're called) from John Bead in Toronto. They're a wholesale supplier but do have a small retail outlet (if you're in The GTA). Seed Beads are imported from The Czech Republic and come in many stunning colours. I'm a kid in a candy store everytime I go there! You're in good company as a new follower with my Mom and one of my sisters!(lol). Thank you Laura! And thank you again (lol)!!! Hey Karen ... this one is an absolute stunner! Seed beads are stunning. Hopefully (just need more time in my day) there will be many more stunners to come. I am over the moon about your work! I was on Stumble and came to your work. You have more creative talent in one cell of your body than most people have in their whole body. It's a gift! I'll have to google Stumble? wow i came across you on stubleupon like shelly (above) and i am glad i did! im so inspired! how did you get the seed bead so uniform are they stung on wire? this is gorgeous work. wanting to do more than time and health allows. Happy New Year! 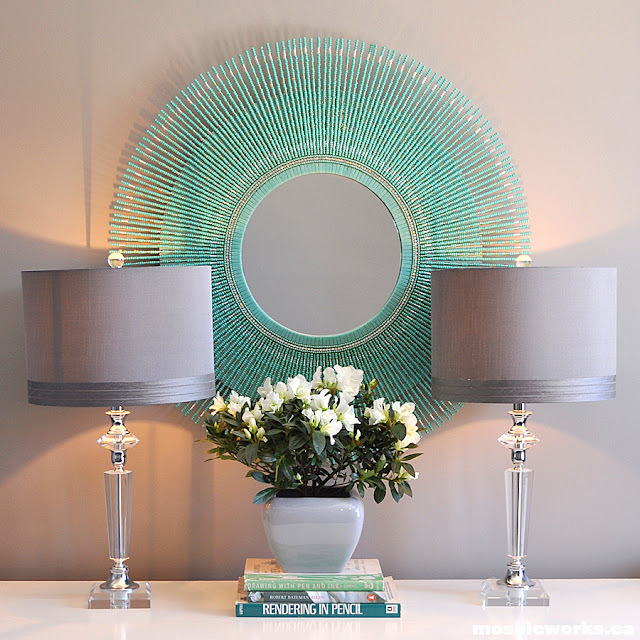 I simply love this mirror (and many others) that you have constructed! Turquoise is my favorite color, and this is a great piece that shows it off nicely. I found this on Pinterest, and thought it was a DIY project due to the title of the pin. After checking your web site, I found that there aren't any instructions on how to create this. Would you be able to email me the instructions on how to make this? It looks like a lot of work, but the outcome of this would be well worth it! My e-mail address is, Lazarusstr@gmail.com, thank you so much! Keep up to great great work! Your work is absolutely stunning! I like many other posters above, Love the color turquoise, so this piece already instantly jumps out at me and then once it has my attention I see your amazing talent and I am just in awe! I started to teach myself to make jewelry when I was in a severe head injury accident years ago and I do all types of art for therapy, although I unfortunately lack the talent for it, I still enjoy the therapeutic element. Anyways, sorry for the rant, I was also curious about the seed beads on the rods. I do a lot of work with wire, metal, and as I mentioned before, jewelry, but all self-taught. Did you hook the end of the rod into the chain link with the rhinestones, or possibly glue the first seed bead at the start of each rod? Or am I completely off? Thank you for your time, and it was such a pleasure and such an inspiration looking at your work. Hope to hear a reply. My email is Briarbates3@Gmail.com. Thank you and have a wonderful day! 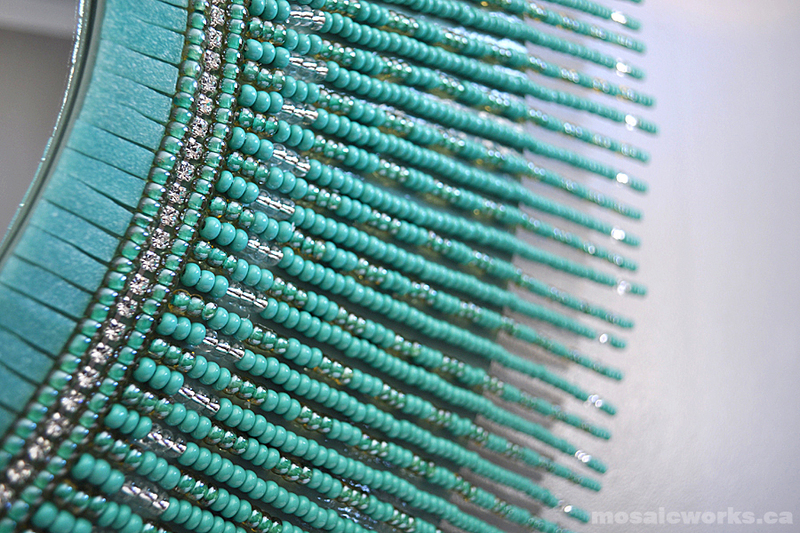 I'm from Arizona, & have always had a live for turquoise. Beautifully done. I'm totally amazed by your works, they are so beautiful! I especially love this one, but I couldn't figure out, how you did it. I see others above did not have any clue, too. Could you please send me the secret of it on my email adress? It's kiccsit@Gmail.com. However I understand if you would like to keep it for yourself. 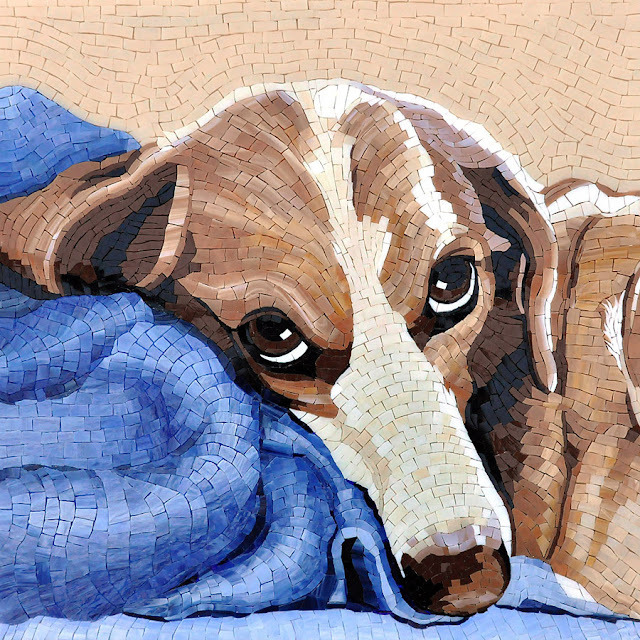 If so, then just take my compliment, your mosaics and mirrors are stunning!